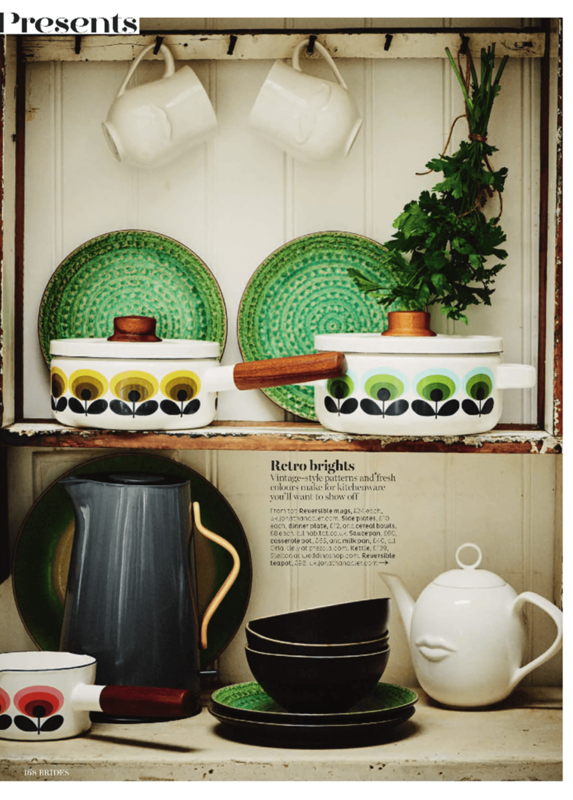 Kitchenware you want to show off: the Orla Kiely range featuring the Enamel Casserole Pot, Saucepan and Milk Pan in 70s Oval Orange. As seen in Brides Magazine November 2017. Click here view the range.